Real recognizes real once again with Kevin Gates giving Tech N9ne an Instagram shout out and a half during Gates stop in Kansas City. On the strength and momentum of his debut album Isiah, Kevin Gates is currently touring the country with The Islah Tour Part 2. During his show at the Uptown in Kansas City, Tech N9ne visited with the up-and-coming chart smasher. Kevin Gates took to Instagram to share pictures of the meet up. You may remember Kevin Gates giving Tech N9ne a shout out when he said “I want that Tech N9ne money.” Kevin echoes his earlier sentiment in the captions below, paying homage one of hip hop’s true pioneers. 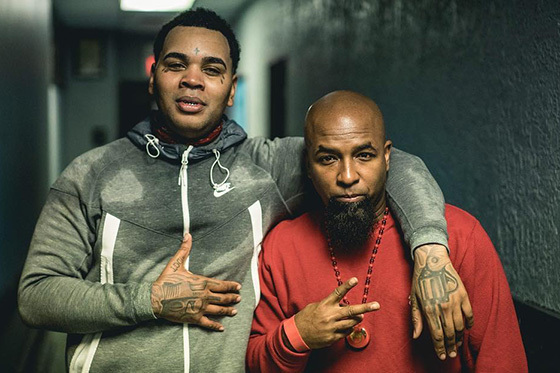 Do you want to see a Kevin Gates and Tech N9ne collab?